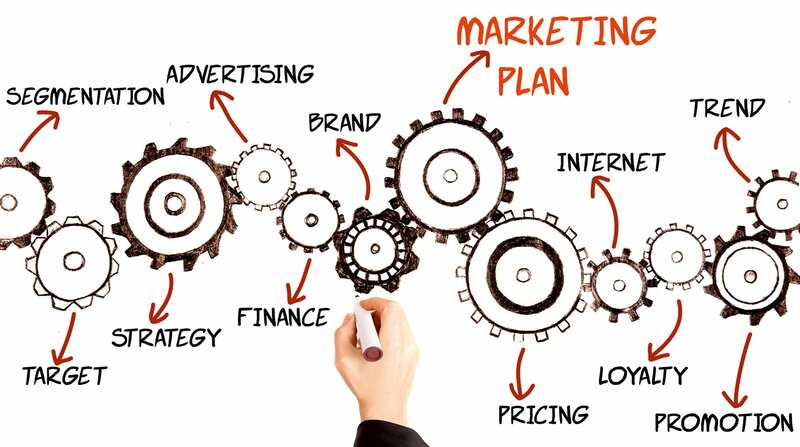 Inbound marketing doesn’t start with a company, a marketing campaign, or an advertisement. It doesn’t start with a salesperson pitching a newfangled idea nor a flashy commercial bound to make you laugh the first time around and cringe each time thereafter. Inbound starts with your ideas and your expertise which draw in your prospective customers and gives them something to chew on from the first time they see your website. How many people do you know own a sailboat? Probably not many. If you saw a commercial for sailboats on TV, chances are you wouldn’t care. They paid money for an advertisement that most people aren’t interested in—wasted money. But, without a doubt, there are people who do want to buy a sailboat. So how would a sailboat company make sure that the right people buy from them? After all, sailboats are highly specialized pieces of equipment that take significant skill and experience to commandeer. It all comes down to how people shop and how you convey a message to those shoppers. Two decades ago, a person might have opened up a phone book. Today, we use Google. Finding a company through the internet is the rule and no longer the exception which is exactly how inbound marketing comes into play. An effective inbound marketing strategy ensures that people can easily find your company through search, even if they are unfamiliar with your offerings. 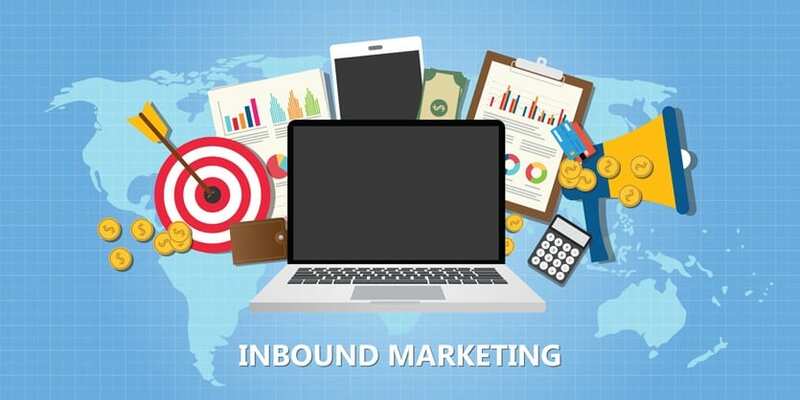 Read our article: Inbound Marketing Works. Politics Proves It. There are four key stages of inbound marketing. 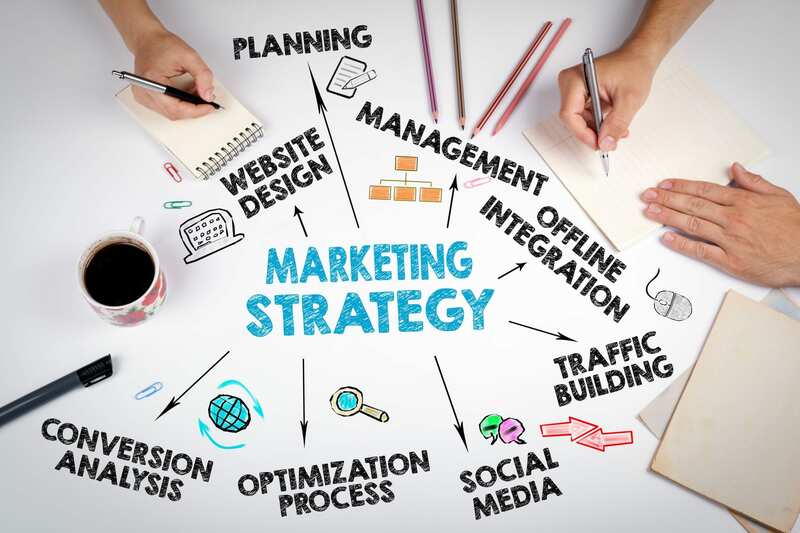 Each one is equally important when trying to come up with a successful inbound marketing strategy and most of it comes down to your ability to attract buyers to your brand. The first stage of inbound marketing is attraction, and just as the name suggests, prospective buyers are attracted to your brand through your website. The goal of the attraction stage is to become known. This means when a potential client types ‘sailboats’ in the Google search bar, your sailboat-centric brand will be one of the first to appear. Being discovered is one thing, but now you have to show that you weren’t discovered by accident. This is the stage where visitors are spending more time on your website, reading about your business and your offerings, and vetting your brand against your competition. This is where your brand begins to stand out, set itself apart, and where your expertise truly begins to shine. Now is the time to strike. Your visitors have shown interest in your business and they’ve taught themselves everything they need to know (through your content), but they aren’t quite ready to pull the proverbial trigger. This is the stage where you start to guide them towards becoming a customer. A well-timed email or smartly worded call-to-action can make the difference between an interested passerby and a loyal customer. Don’t stop now! Just because someone became your customer doesn’t mean their journey is over, and your job most certainly is not done. By keeping in touch with your customers through email, social media, and personal contact, you can create a lasting, positive impression and many more future sales. Delighting your customers increases the likelihood of them becoming repeat customers or, better yet, telling all their friends about how wonderful your company is. Creating a buyer persona is like getting to know your most loyal customer by getting into their psyche and knowing exactly who they are, what they want, and what motivates them. With that said, buyer personas are critically important in inbound—you dig deep to find out their goals, how they like to interact with your company, how often they visit your website, and everything that affects them both in their business life and personally. Have you ever spent too much time on Netflix looking through dozens of different movies and shows only to end up watching what was recommended in the first place? Netflix personalizes your viewing experience so you can spend less time looking through movies and more time watching your soon-to-be new favorite film. Your business’s website should cater content according to who a customer is, where they are from, and what stage of the inbound marketing process they are in. Additionally, your content should be delivered to exactly the right person at exactly the right time. Call-to-actions, for example, that are highly-targeted to a specific user perform 178% better than ones that are not? Imagine what such an increase could mean for your company. Additionally, your website may need to be redesigned in order to assist with the sales process. Keywords are the driving force behind “search” and are probably the most important aspect of being discovered on search engines like Google. For example, it may not seem like there is a huge difference between the search terms “pet toys” and “cat toys.” But when you break down the search results, “cat toys” is searched for over 60,000 times in a month, while “pet toys” is queried barely over 6,000. By planning your inbound marketing strategy around relevant keywords, you can ensure that your company is more likely to be discovered. Blogging creates an opportunity for you to tell the world about your business on your own terms, but a successful blog is a huge asset. 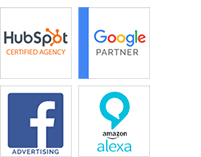 This, next to attracting prospective clients to your website through keywords, is the most powerful aspect of inbound marketing and your brand as a whole. One of the first things people do when they are interested in a topic or product is to do some research online. By blogging, you increase the chances that a potential customer will come across your blog therefore increasing the likelihood they become a lead and potential sale. A helpful and informative blog creates a bond of trust between your company and the reader, thus increasing the likelihood that they will buy from you either at that moment or in the future. If the visitor sees your blog as an authoritative source of information, that also increases the likelihood of them sharing your company’s blog with friends and colleagues. Finally, a blog gives you the opportunity to be seen as the go-to expert in your field and puts your brand at the forefront of the minds of potential customers and clients. When people hear about email marketing their first thought is SPAM. SPAM is a black spot in marketing that is slowly being erased. Though it still exists, marketers have come to the realization that SPAM has close to no ROI and can be harmful to a brand, so most respected companies don’t use SPAM tactics anymore. Today, email campaigns are established by mutual agreement. A customer will share their email address and other personal information in exchange for updates on the latest sales, promotions, and products. By tracking which emails are more likely to be opened, read, and responded to, marketers are becoming more effective at nurturing sales qualified leads using email. But doing that without an all-in-one marketing suite can be one heck of a chore which is why inbound marketing and its powerful automation tools make email marketing a breeze. While the original purpose of social media has largely been lost to a new generation of social media users, many of us remember when social media was just that: social. It was a place to keep in touch, share our lives with one another, and stay connected with people far away. Today, social media is the new word of mouth for marketers, but that avenue of marketing can get a little slippery. Just as we mentioned SPAM with regards to email marketing, social media can have a similar effect on users which is why savvy, successful social media marketing is so critical. Social media is a place where brands like yours can share their accomplishments, latest blog posts, and new product updates with an extremely large audience. In turn, crafting informative, sharable content can help your brand spread virally throughout the various social networks. Following some social media best practices doesn’t hurt either. As Americans start to download ad blocking software to their browsers, the effectiveness of advertising on websites is declining. Considering that click rates for these ads were already very low, it probably won’t be long until websites no longer include ineffective advertisements. Instead, marketers are looking to increase the amount and the quality of content found on a website to help drive traffic and sales. And while keywords and social media are avenues to your content, the content itself is your brand’s inbound foundation. Without a rock-solid foundation, inbound isn’t nearly as effective nor efficient as it could be. With content, which includes blog posts, social media posts, downloadable offers, and even webinars, your brand will become a thought leader in your field. The unsung heroes of inbound, CTAs set out to accomplish exactly what their name implies: make a user take action on your website. Depending on what goals you have for those user actions, CTAs can be as simple as a “Download Now” button placed at the end of a piece of content to an elaborate half-page visual beauty asking users to sign up for a new webinar series or download your latest ebook. CTAs truly are the first piece of your lead generation efforts since they’re the first action a potential lead takes to dive deeper into your content. As a result, your brand’s CTAs should be attractive and focused on capturing potential leads. Of course, having quality CTAs means having quality offers to back them up which is where your creative and inbound team marry to create something truly unique. Targeting those CTAs to specific buyer personas or existing customers is a crucial consideration for creating a great CTA as well. Want to find out how to optimize calls-to-action on your website? Read here. Inbound marketing is about putting your brand out there to be discovered, but how does that happen? There are many different ways to improve your chances of being discovered online, increase the number of visitors to your website, and generate more sales from generated leads. Let’s explore what makes the inbound marketing machine move. Expand Your Knowledge. VALUABLE INSIGHT TO KEEP YOU AHEAD OF THE CURVE. 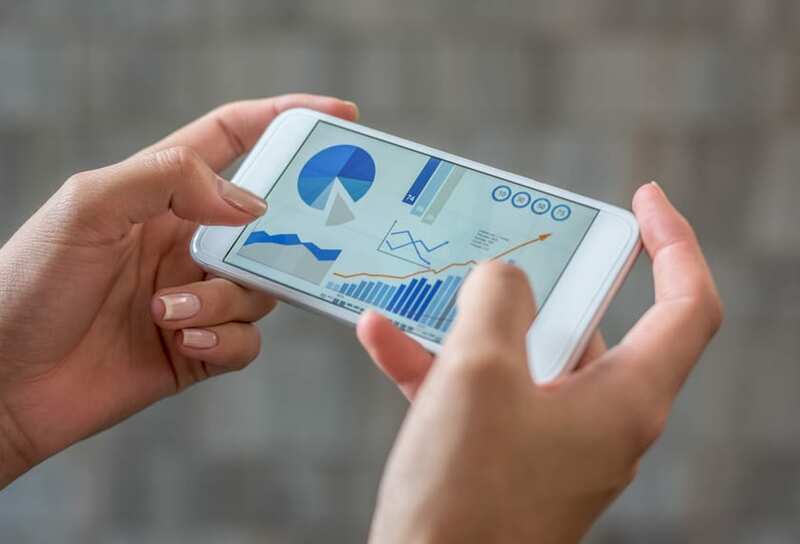 Year after year, as the world around us continues to change, it becomes more and more important to stay on top of the trends and technology that affect how consumers act. Check the latest collection of our thought leadership and other resources to help drive your marketing efforts in today’s 24/7 online and mobile world.